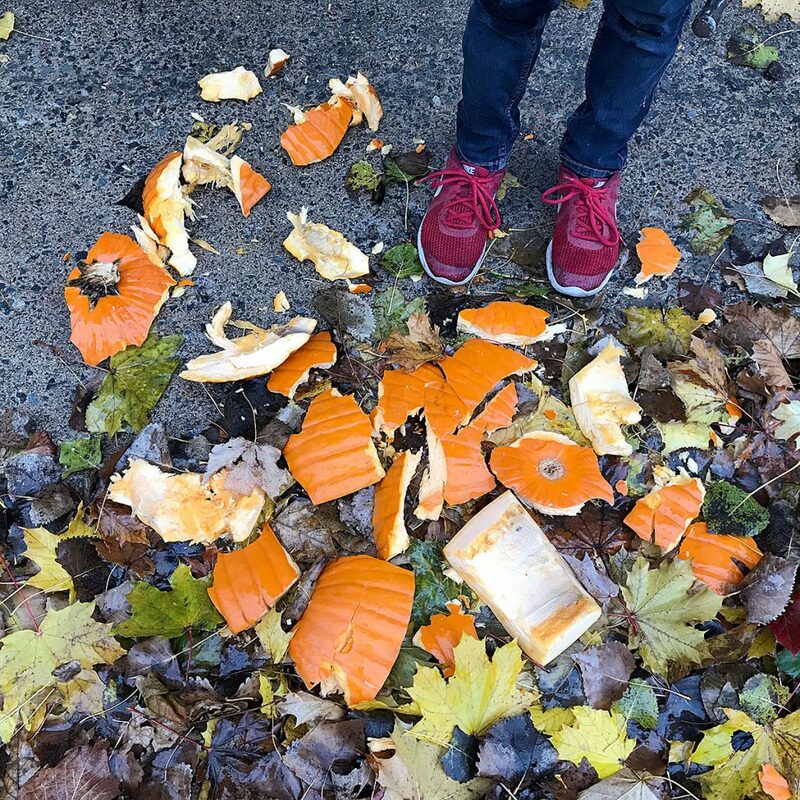 Did you know that most Halloween pumpkins grown in the U.S. and Canada end up in the trash?!  Once they arrive in landfills, they create methane, a greenhouse gas that’s 20-100 times worse than carbon dioxide  Now that’s a scary thought! We’ll leave ours on the back patio for a few days so backyard wildlife can enjoy a snack (and Milo can enjoy the show). 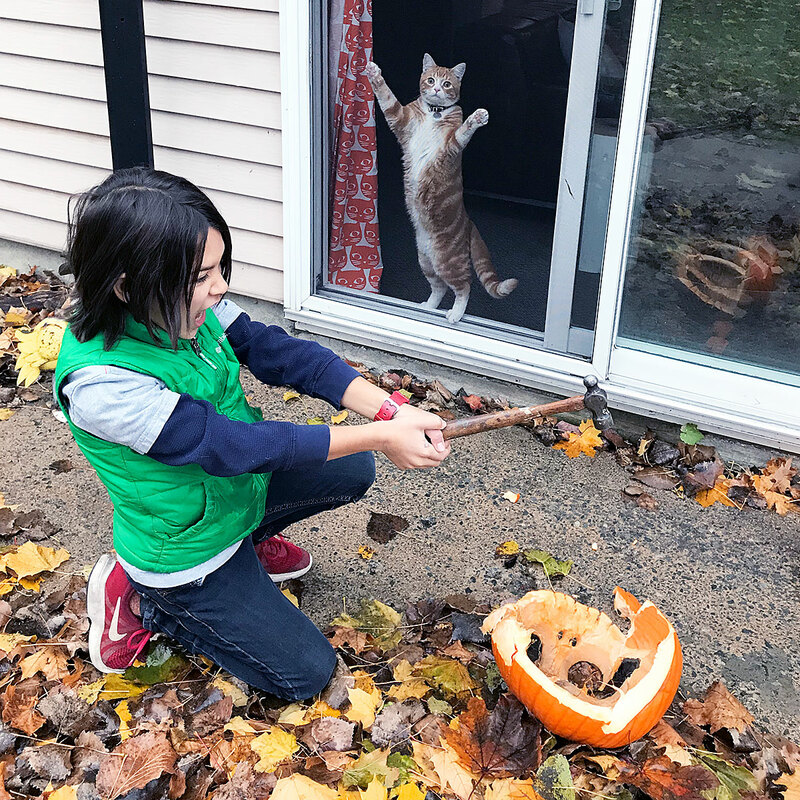 Once the critters have gotten their fill, we’ll add it to the compost heap—the small pumpkin pieces will breakdown faster than a whole pumpkin.